The west Londoners suffered their heaviest defeat since 1991 at the Etihad, with Sergio Aguero bagging a hat-trick as the Premier League champions blew away the visitors in 25 frantic minutes at the start of the first half. 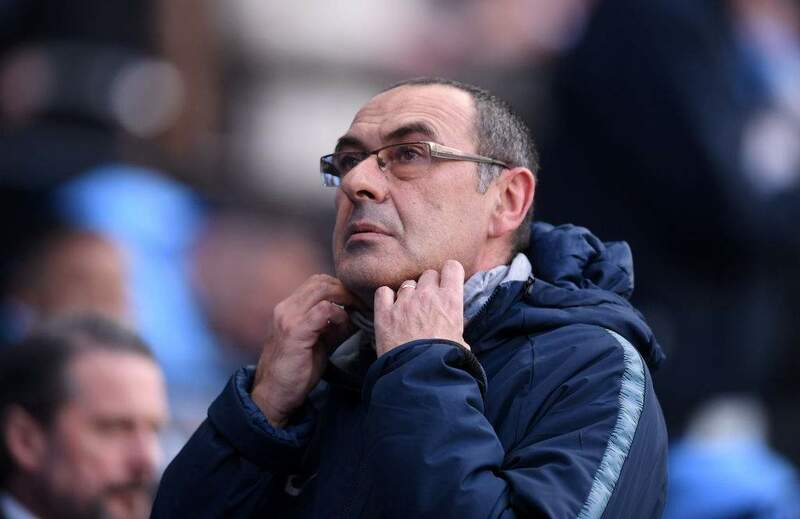 Chelsea have now lost three successive away matches, to Arsenal, Bournemouth and City, leading to speculation that Sarri's job could be under threat as the Blues slipped to sixth in the table. Asked by Sky Sport Italia if he was expecting a call from Abramovich to discuss his future, Sarri responded in rather sassy fashion: 'If the president calls, I'll be happy, seeing as I never hear from him. 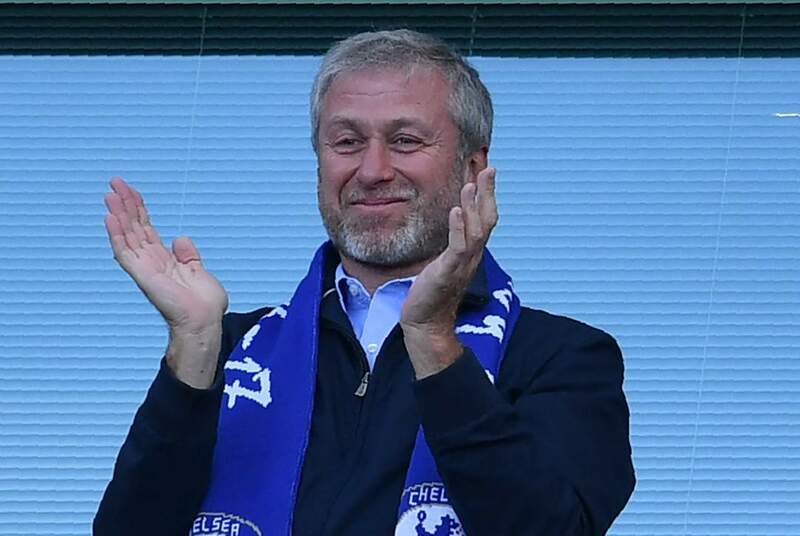 Abramovich is yet to watch Chelsea under Sarri after he was denied a UK visa, though the Italian coach was brought in with a remit to overhaul the team's style of play. 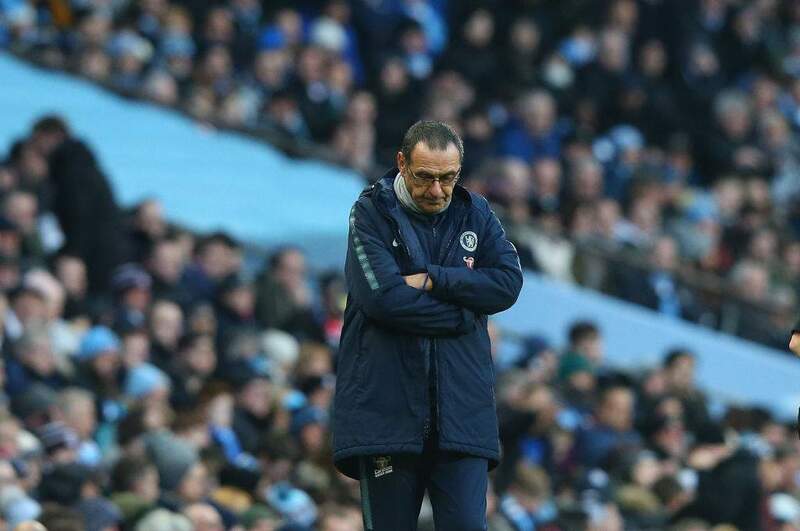 Sarri said he 'did not know' if he would be required to meet with Chelsea's board to explain Sunday's result, and potentially fight for his future at the club, and struggled to understand why his side had played so badly. He continued: 'We'll need to find the explanation for all this over the next few hours. My sensations before kick-off were good, as they were during the week. 'We conceded a stupid goal in the opening minutes that affected us for the whole game. Manchester City play fantastic football and I saw an extraordinary team. We had a total blackout.